Another year, and another Home Run Derby is in the books. This one had a flair for the dramatics. 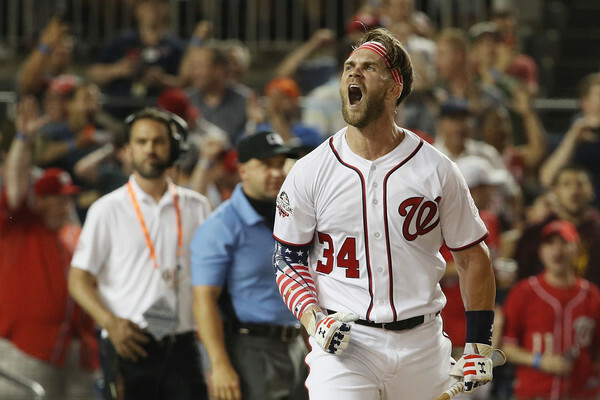 Harper beat Kyle Schwarber in the finals – hitting nine home runs in around 50 seconds to clinch it. I was happy for Bryce. It’s never going to go down in D.C. as it should have with him winning a World Series. But this was good for that city and almost felt like a closing act in some ways. And Bryce Harper for a night; made baseball fun again. Hat tip to Max Muncy, who fell to Harper in the second round. That was an impressive first round by the latest greatest Dodger.